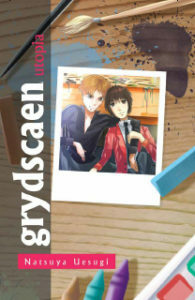 The prelude to the grydscaen series. Lino is your typical graphic design student. His life is relationships, classes, homework and exams. But there is one problem. He has psychic power. 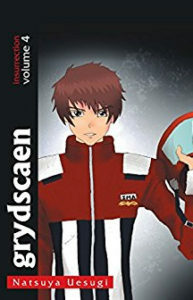 Recruited to the government-run Psi Faction, can he pass their psychic test to become a clandestine operative or will art school and his boyfriend get in the way? 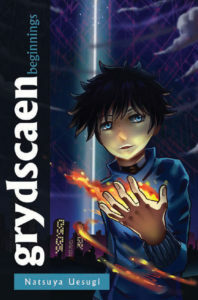 The backstory prologue to the grydscaen series. Faid Callen, founder of the Packrat hackers, is kidnapped by Lino, the clandestine operative. Lino's half-brother Riuho is captured and the Psi Faction experiments on and trains him as an assassin while holding him hostage. When Lino is sent on a political mission to assassinate a traitor another operative is put in play sent to kill. 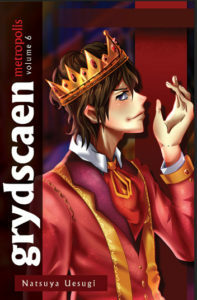 Can Riuho be saved or will Lino fall prey to manipulation and lies orchestrated by the government and the military? Faid escapes from the Psi Faction setting up Riuho as the interim leader of the Packrats. The SenseNet, releasing powerful subliminal messaging, attempts to control the Echelons. Faid, once more used by the military, watches on as the Packrats are caught up in a political game. 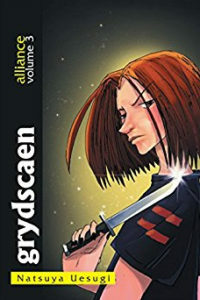 Escaping, Faid lead the Packrats in a terrorist action against the City and the Psi Faction is tasked to hunt him down for his crimes that hit Lino closer than he could have ever imagined. 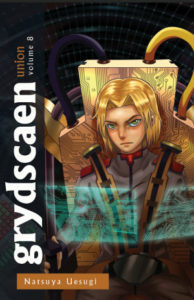 Lino Dejarre the Psi Faction operative becomes the Sub Viceroy on order from his father, the Emperor as the Atlantea Federation invades the City. The war escalates and Lino must go on a secret mission to stem the tide and bring the conflict back under control. 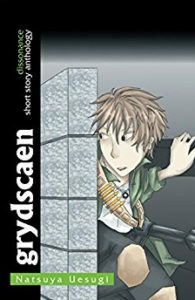 Faced with danger when he infiltrates the Dionysis Air Fortress, Lino comes face to face with the enemy's lethal Jannai warriors. The cyberterrorist organization the Packrats faces an internal struggle when their leader Faid Callen the Saicho is critically wounded. The Packrat's fighting force run by Set stages a coup and sets up a deadly battle on Faid's recovery vying for leadership. Can Faid keep the clan under his control as he struggles to maintain the allegiance of the fighters? 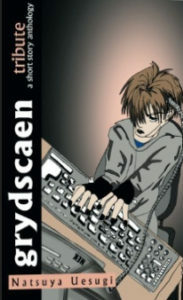 Infiltration, intrusion, attack and destroy, follow the stories of the hackers in the grydscaen series. High tech, low life, fighting to take down the government, Faid Callen and his Packrats infiltrate and attack the government and the SenseNet by any means necessary. Whose side are you on? What are the stakes when there is no hope left? 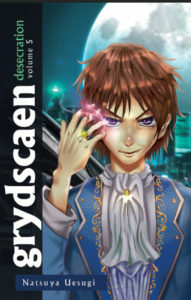 Follow the lost stories of the grydscaen series. Toshiharu the refugee fleeing from Atlantea Federation oppression. Natsuki the child soldier fighting for her freedom from the advancing Jannai hordes. And learn where Blue the Psi Faction operative got his name. 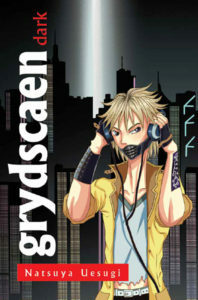 Dig deeper into the world of grydscaen. The Psi Faction team is stationed on the battleship Escalon on their way to attack the Atlantea Federation homeland at Londes. Sati Ima the ace fighter pilot for the Pacific Territories fights the Streak vying for control of the air. Aerial dog fights and frantic battles are fought as the Atlantea Federation tries to keep control. Can the Psi Faction keep the Pacific Territories strategic advantage of the skies? The intrigue increases as Riuho, now an Atlantea Federation operative, reemerges confronting Lino on the battleship Escalon. The Convergence comes with powerful Trance Channelers vying to control the timestream. Betrayal and danger haunt Lino as the war escalates between the Pacific Territories and the Atlantea Federation throwing Lino into tragedy that will change him in ways he is ill prepared. With the Trance Channeler Isk aligned now with Riuho, no one is safe as Lino's trials are just beginning. The Psi Faction returns and newly crowned Emperor, Lino, has to dive into governing. The Atlantea Federation threatens the neighboring United Municipalities and the Pacific Territories broker a deal to keep borders safe. Lino, having survived the Convergence, must use his new knowledge to guide the Pacific Territories in the timestream. The Atlantea Federation menace, Riuho, returns to take control of the Packrats. Can the Packrats survive or will Riuho kill Faid to usurp control? Gloughster Illian, the trance channeler, makes a decision that impacts the rule of the Pacific Territories. When the Packrats are drawn into the chaos, Faid Callen must decide on revenge and violate every rule in the Packrat Code. 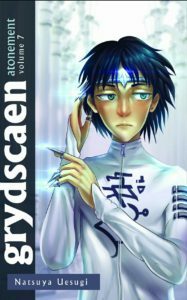 Can Lino circumvent the destruction to the City or will his dream of peace between the Pacific Territories and the Atlantea Federation die forever? The Psi Faction team is stationed with the 8th space fleet on the La Paz space station when the Atlantea Federation attacks the Pacific Territories colonies. Launching into action, the team must fight a nervous high pitched battle to keep the peace. A space opera for mobile frame fans. 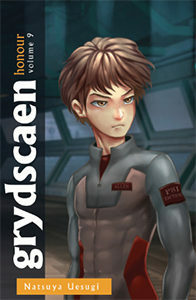 The La Paz space station is infiltrated by the Atlantea Federation and the Psi Faction team must fight for their lives. 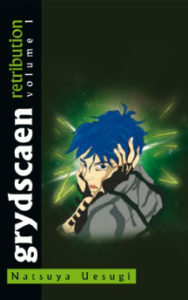 Lino confronts Riuho is a devastating battle that brings the grydscaen series to its climax. Will the team survive? 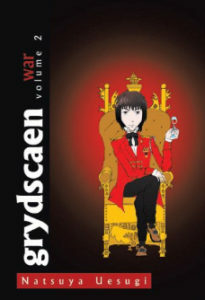 The space opera arc winds up in grydscaen: honour.